It's that time of year when the hydrangeas start to bloom, and I marvel at their beauty. Mid-June is a magnificent time for color in the garden. I'm enjoying my laps around the house to fill the wildlife feeders. On the beauty front, I have an appointment this weekend at Bloomingdale's Tysons Corner Center to meet with a By Terry representative at SPACE.NK. This will be a rare treat - they don't come often. I can't wait to talk about By Terry products and get a few recommendations for the brand's wonderful skin care. If you are local to DC and want to go, just give the counter a call at (703) 556-4569. I love e-commerce. I can no longer remember the days when we were dependent on stores for all our beauty needs. Sometimes, though, I get frustrated. This week, I was frustrated with Zuneta, one of my absolute favorite sites. You know I ordered a batch of the new colors from Zuneta a couple of weeks ago. I had chosen Zuneta because during my interaction with the site, all of the things I wanted were available. Beautyhabit had shown them as "coming very soon" or the equivalent. I started eagerly checking my mailbox about a week later - every day wondering when my new beauties would arrive. Then, an Tuesday, Zuneta sent me an apology e-mail that said they hadn't even shipped. "Our recent Rouge Bunny Rouge order was severely delayed in reaching us, which has meant we have been unable to dispatch your order immediately as we would normally. The order is due to be dispatched tomorrow to you as soon as the stock arrives." The "as soon as stock arrives part" got me worried. I was disappointed. Fortunately, the next day, I got a shipping notice, so now I know it's on the way. I still love Zuneta, but I wish they had told me right away they didn't have my products. It was the anticipation I had every day that my mailbox would contain treasures that disappointed me. That disappointment ended when I remembered that what we take for granted today is, in reality, amazing. I can order products from England and expect to see them a week later. How cool is that? These days, I do a lot of shopping online. It allows me to shop at any hour, and I don't have to sneak my way through a beauty department, avoiding all the "Can I help you, ma'am questions." I've had a sales associate on the phone with me, taking an order, and, on more than one occasion, she confronted people passing through the department to ask, "Can I help you, sir?" Seriously! Interrupt a living, breathing customer to court another. Where do these SAs get trained? I realize that they have ridiculous sales goals, but those goals - or lack of common courtesy - sometimes translates into obnoxious behavior. There's no one to interrupt me online. As a result, I had a lot of fragrance arrive this week. I know you aren't as keen on fragrance features as you are on makeup, so don't worry. I have much more Vera Wang to show you, much more nail lacquer, and if I get lucky, my new Armani colors (which shipped) will arrive today. We are in a lull in seasonal introductions, and that's giving me time to catch my breath and save up. The new Dior Colors did not excite me. I do need to get some photos today. I'm working at home, instead of my client's office, and the sun is shining. I'm planning to enjoy the beautiful day. It's time for the Friday Forum, our open chat. What new products did you discover this week? Did you find any deals you couldn't resist? Are you using a fabulous product and want to sing its praises? Did you find a beauty product disappointing? Do you have a question others might be able to answer? Want to talk about skin care? What's new in your life? Please share! Just use the comments. Don't be shy. Just make sure to ask any question you might have over the weekend. By early the next week, most (not all) readers will have moved on. Don't forget to enter the wonderful giveaway contest for Suave Beauty's new Everlasting Sunshine skin care. The deadline is tomorrow, Saturday, June 16, and there will be two winners. Suave sent me a set, and I love the scent. The bottles are huge, so I'll be enjoying it the Body Wash and Body Lotion for months. Update 2:11: Talk about amazing service, what we've come to expect from Zuneta, my makeup arrived via DHL express a few minutes ago. They made up for the delay with a delivery service that cost them serious money. I'm super-happy! As for this week, I finally found a Neil Morris fragrance to truly love. I'd tested many through the years, without success....til last night. Scrumptious is magical. I need a FB! Rather than order online, I'm going to call the kind Mr Morris and ask for suggestions. He's a doll....AND he speaks Hungarian! What could be more perfect? Good morning and happy Friday, everyone. I love hydrangeas in all their over-blown, pom-pom glory! Whether they are lovely shades of white, pink, violet, or blue, I love them all. In fact, you've inspired me. Every year we have a Midsummer's Night dinner party al fresco. I hadn't gotten as far as planning the flowers yet, but after seeing your picture, I'm thinking woodland baskets filled with hydrangeas would be nice. They have that magical fairies-in-the-garden sort of vibe that I'm after. E-commerce is wonderful. It has opened up so many shopping opportunities and has let us shop around the country; around the world. And, as it becomes the rule, rather than the exception, service is getting better all the time. I still prefer to buy new color cosmetics at the counter, though, because I want to actually see and swatch the products on my own skin. We have some of the best SAs in the world at our local counters. If you tell them you're just looking, after asking if you need applicators, anything sanitized, etc., they just leave you to it so there isn't any pressure. I bought Guerlain's Kiss Kiss Gloss in #870 Cherry Pink this week. It's from the spring collection. It looks fuschia in the tube, but on my rose colored lips, it does, indeed, look like a luscious pink cherry. I love Kiss Kiss Gloss because it is so moisturizing, it has a good dose of color, and it wears well for a gloss. It is one of my very favorite formulations. Other than that one impulse buy (good impulse :-) ), I'm waiting for the new collections. In the meantime, I've been looking at the fall clothing/accessory trends to get a more cohesive feel for what this autumn has in store for us. I have never found a NM fragrance I liked. I thought it was something about my picky nose. Glad to hear you found one that works for you. That will be gorgeous, Eileen. Parties decked with hydrangeas are soooo classy! Isn't #870 gorgeous? it does look fuchsia in the tube, but on the lips it's a gorgeous rose pink, as you said. I carry it around with me. Speaking of By Terry, I ordered my first By Terry product - the Terrybly Lip Shine in Honeymoon Kiss. I am so excited for it to arrive! Other than that, I have restrained myself from other new products. I do have some purchases I expect to make on the horizon, including GA Eyes to Kill eyeshadows in #2 and #15. I do love me some shimmery eyeshadows! I love internet shopping, and am immensely grateful for it. I grew up in the Cleveland suburbs, where we had access to a Nordstrom and a Saks. Then, I moved to central Illinois, where there is a Chanel counter and Laura Mercier counter about 45 from where I live. Granted, I have a Lancome, Estee Lauder and Clinique counter here in town, but no access to any of the more upscale or hard-to-find brands. So, I basically depend on the internet for most of my shopping. 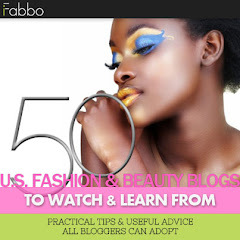 Thank God for the excellent swatches and reviews many bloggers provide - including you! 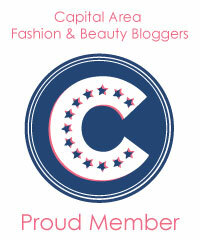 I have based many a purchase on the review or swatch of a beauty blogger, especially yours! So thank you for continuing to provide thorough, accurate and frequent reviews. I am especially happy for the speedy shipping provided by many sites. I ordered my ByTerry product from Barneys online yesterday, and it will arrive Monday. Also, it was free! Double score! On the other hand, I miss being able to go to actual counters and talk to a knowledgeable SA. That is a rare, rare treat for me. Hydrangeas are gorgeous....they were the flowers in my table centerpieces for my wedding. So pretty. Happy Friday. My LMdB "On The Coast" kaleidoscope finally arrived from Saks. I opened it up and all the shadow pans fell out. Completely disappointed. I waited so long for that thing. It was the very first thing I purchased from LMdB. I think it will be my last. In this day and age with so many lines available so readily, it doesn't make sense to deal with a company that does so many limited editions/exclusives when I can find pretty colors permanently available with another line. I guess I just fell for all the hoopla and hype of limited edition colors. I'm not sure what to do now. The kit is sold out, so if I return it I won't have those colors (and they are lovely by the way), but if I try to keep it, they will keep falling out and start to crumble to nothing and then they will disappear that way. On the positive note, I'm enjoying my Chanel nail polishes. This past week I wore Jade Rose and I'm planning on either June or Island for this evenings manicure. WTG Zuneta! I was initially put off by their in stock status not really being in stock. It sounds like they have a very attentive staff to process orders. You must be a savvy shopper to purchase makeup online without seeing in it person first. I can't bring myself to buy makeup unseen. Maybe, it is because I just started buying makeup a little over a year ago. I used to just wear translucent powder, lipstick and mascara. I've made up for my lack of makeup purchases over the past year. Yesterday, I picked up Illamasqua's Neutral Palette and Tarte's Amazonian Clay Blush in Tipsy. 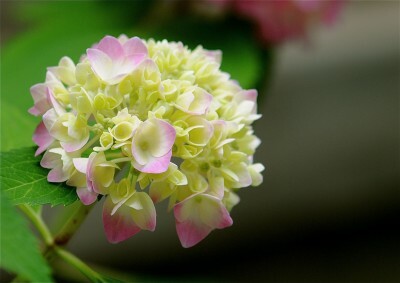 Your hydrangea bloom is beautiful. My husband planted two bushes for me. Not sure if they'll make it to next year unless I transplant them to a more shaded afternoon sun area. I apologize for missing last week's Friday Forum. My son graduated high school that evening. And we were away for the weekend. Happy Belated Birthday to your mom!!!! Hope she is doing well and her legs are less swollen. I've been wanting to try Guerlain's lipsticks and glosses. Did you try yours on before you purchased it? One day, I should go to the NM Guerlain counter to find an appropriate shade. The limited shades at my local Sephora don't suit my dark pigmented lips. I also wanted to tell you about my microdermabrasion. It went great! No extreme redness or wind chapped look. I did use some Skinceuticals Epidermal Repair and B5 gel masque to help repair and rehydrate my skin. I figured I should keep both in stock since I restarted Refissa again. spend a fortune on flowers. I enjoy reading about your fragrance purchases, you always give a very detailed description. I received an email from Saks this week for 20% off and it included beauty! I was not about to pass that up. Got a Tom Ford Blush, it is gorgeous! The Sisley lippie in Rose Fushcia, a Dolce & Gabannna eyequad. And some Kiehl's,products. Have a great weekend. I'm so pleased your microdermabrasion treatment went well. And that Epidermal Repair Cream is a life saver especially when used with the B5 gel--so soothing and calming. I complain that DC shopping can't compare to NYC, but I doubt I'd be happy in a locale where stores are few or spread out all over town. Fortunately, our malls (love them or hate them) do provide good one-stop shopping. Or Chevy Chase, where stores are clustered. Those centerpieces at your wedding must have been exquisite! When I order floral arrangements, I often ask that they be included. Love them! You aren't the first one to discover LMdB's adhesive problem. The company is aware of it, and they thought they had it licked. Apparently not. A little glue under the pan of color should hold. Try a dot of Super Glue. Try some of the permanent shades of shadow. They really are worth it. That's how we all got hooked on LMdB eye shadows, enabling the Ks to become so popular. Thanks, Wendy! The double dose of Lasix is working, and her legs are losing fluid. Today, we are having the delayed crab cake lunch. Those hydrangeas must be moved to a spot with some shade relief. Move them before they get big. They will need a lot of water until they get established. Glad to hear your miscrdermabrasion went well! Definitely congratulations to your new graduate! Onward! Wow, Mary Ann! Saks has been excluding beauty from its sales. Now I'm wondering if I overlooked an e-mail I should have read. Sounds like you selected some really nice things!